You have decided to spend a relaxing holiday on the beautiful beaches of the Agropoli and Capaccio coasts. What to do and see? If you are on holiday in the beautiful Cilento, there are places near Agropoli and Paestum that you absolutely must visit. - The archaeological area of ​​Paestum, an archaeological excursion, a tour of myths and history. A place where legends intertwine with the charm of the majestic ruins of the temples of Paestum. The archaeological area extends inside the walls, the doors of Paestum were originally four, there are still two visible access arches in good condition. The Temples are majestic, in excellent condition, walking in them is a unique and magical experience, to be done at least once in a lifetime. The Paestum museum is also a place not to be missed, full of finds. Inside, many activities are organized especially for families with children. Another place to visit is the Paleochristian Church, a consecrated church, which dates back to the early 5th century. I strongly advise you to stop in a bar and taste the excellent homemade ice cream or stop for lunch in one of the buffalo mozzarella dairies that surround the walls. It is possible to visit Paestum in half a day, the archaeological site is easily accessible thanks to the Paestum railway station. Once outside the station, you will find yourself in front of one of the access points to Paestum, Porta Sirena. Alternatively you can easily reach Paestum by booking our services: Taxi, Transfermineti from Naples and Salerno station and airport. One of our drivers will be waiting for you at the meeting place. 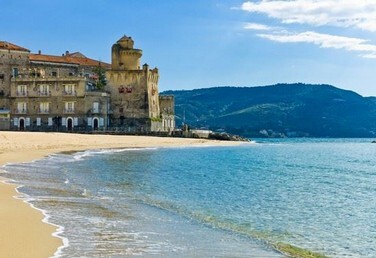 - Agropoli Castle, a tour of the citadel, a food and wine excursion. 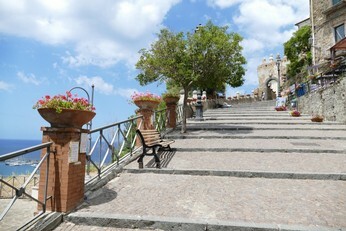 The Castle of Agropoli is a place of enchantment with a unique panorama. It is believed that the castle of Agropoli rises on the ancient acropolis of Paestum, where once a temple dedicated to Nettuno was located. The castle is of Byzantine origin. The castle can be easily reached on foot by crossing the square, up to the "gradoni", here a large ancient staircase will take you to the village. Through the narrow alleys typical of an ancient village you can reach the Castle that overlooks the citadel. If you are spending your holiday in Capaccio Paestum or in Agropoli, you must definitely visit Punta Licosa, a wonderful place surrounded by nature, which can also be visited through a trek that runs along the entire wonderful coast, between Mediterranean scrub and carob trees. If you have decided to visit Punta Licosa, you can also rent a boat from the port of Agropoli. 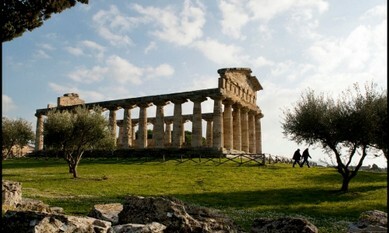 An expert guide will accompany you along the Cilento coast on the Metals routes of the ancient inhabitants of Paestum. Legend has it that a mermaid threw herself for love from a cliff into the sea, and that the islet of Punta Licosa was formed from her body. 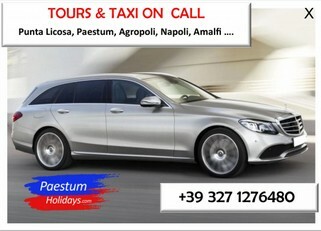 It can be visited in one day, easily reachable from Agropoli and Paestum by public, private or boat. -Santa Maria di Castellabate, magical experience, a tour in the city of cinema. Another place I recommend visiting is the ancient village of Santa Maria di Castellabate. The Castle, founded in 1123 by the Abbot Costabile, was intended to defend the village from the attack of the Saracens. The Fortress is surrounded by walls and has four corner towers. But the most striking aspect is undoubtedly the spectacular view of the Gulf of Salerno, of the Isle of Capri and of Ischia. An excursion also suitable for everyone, it is possible to visit Santa Maria and Punta Licosa on the same day. Castellabate, in fact I recommend visiting Punta Licosa and Santa Maria in a single excursion. miss the opportunity to go for a swim in the Cilento sea.